The number of “unicorn” tech companies is increasing dramatically—but the bubble will burst eventually. In Class, his rude and amusing 1983 guide to the American social hierarchy, the literary historian Paul Fussell noted the strange prominence of the unicorn in working-class culture. Stumped for an explanation, he surmised that it might have something to do with a “low Anglophilic snobbery,” a “pseudo-reference” to the royal coat of arms. Times have changed. Three decades later, the unicorn has jumped several rungs up the class ladder, to where it’s now the principal lust object of the tech and financial elite: a young company that has attracted enough financing to make it worth a billion or more. In November 2013, when she published her findings at TechCrunch, a website/database/promoter that is a major nexus of the current mania, there were 39 unicorns extant. She now counts twice that many. Other sources number them at over 100. By her initial count, an average of four unicorns were born a year. 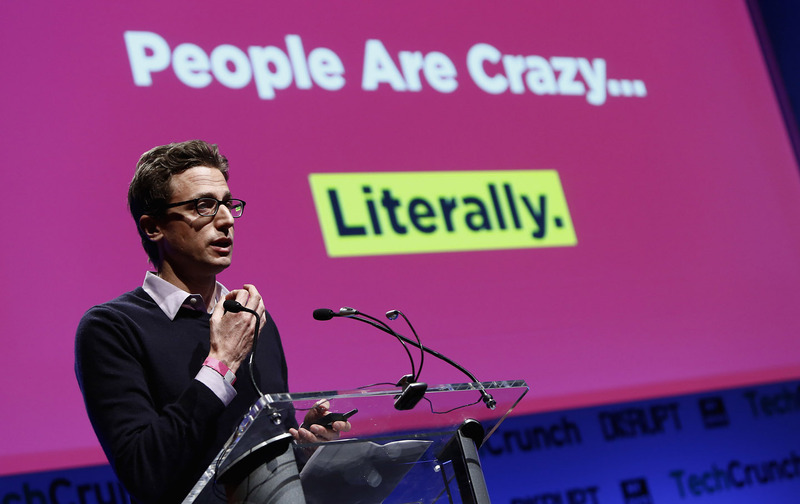 That made them quite rare—just 0.07 percent of venture-backed software startups. The unicorn birthrate has accelerated dramatically: About as many have been born in the last two years as in the previous ten. Lee’s original list included some pretty big names—Facebook (the “super-unicorn”), LinkedIn, Twitter, Groupon (it still lives, against all odds), Yelp, Pinterest, Uber, AirBnB, and so on. Most were headquartered in the Bay Area—though the center of the action had moved to San Francisco from Silicon Valley—but New York City was an up-and-comer. The founders were almost all men, most of them white. AirBnB is valued at $24 billion, more than Marriott, which has over 4,000 hotels to its name. The geography of the game has changed little, and the demography looks to have gotten somewhat more diverse, but the pursuit of the unicorn has accelerated vastly. It’s all gotten surreal. At the high end, the valuations have gone off the charts. As of late June, based on existing investments, AirBnB is valued at $24 billion, more than Marriott, which has over 4,000 hotels to its name. These valuations are figured this way: Investor X puts $100 million into startup Y in exchange for a 10 percent ownership stake. That means that Y is “worth” $1 billion. Of course, there’s no guarantee that anyone else would buy the remaining 90 percent for $900 million, but one can always dream. While the company is on track to lose $150 million this year, it’s projecting that it will be making $3 billion in 2020. Who knows? But investors wanna believe. Uber is now valued at $50 billion. That’s nearly twice the valuation accorded to American Airlines. Why? That’s nothing compared to Uber, which is now reportedly valued at $50 billion or more. That’s nearly three times what it was worth a year ago, and more than 80 percent of the blue-chip stocks that constitute the S&P 500 index. It’s nearly twice the valuation accorded to American Airlines. (Valuation for public company like American Airlines is the dollar value of its outstanding stock. Valuation for a private company like Uber is more, shall we say, subjective.) According to an analysis in Forbes by Chris Myers, a startup maven himself, Uber will have to have an annual growth rate of 286 percent a year for the next five years to justify that valuation by conventional metrics. Yes, its revenue will have to triple every year from now to 2020. There’s an old saying on Wall Street that trees don’t grow to the sky. Apparently, not everyone believes this. Snapchat, a company that made its name on evanescence, is valued at $16 billion. As of now, it has almost no revenue. If the current boom has a philosophy, it’s “disruption”—the replacement of “incumbent” sectors, technologies, and occupations by new ones, often invoked through smart phones. Though the term was coined in the 1990s—and the concept can be traced back to Joseph Schumpeter’s description of the capitalist process as “creative destruction”—it only became massified over the last few years. Uber is disrupting the cab business; AirBnB, lodging; Casper, the sleepy mattress sector. TechCrunch runs “Disrupt” conferences around the world that feature tech startups competing for money and publicity in front of investors and media. Disruption is, of course, self-evidently virtuous; little thought is wasted on disrupted cab drivers and innkeepers. The last tech bubble, in the late ’90s, came with more utopian ambitions than quick mattress delivery. The web and the New Economy it made possible would flatten hierarchies, make work more meaningful, make recessions a thing of the past, and promote peace, love, and understanding. The classic statement of techno-utopianism and its new era of decentralization and abundance was former Wired editor Kevin Kelly’s “New Rules for the New Economy,” which featured such assertions as “1) Embrace the Swarm. As power flows away from the center, the competitive advantage belongs to those who learn how to embrace decentralized points of control” and “3) Plentitude, Not Scarcity. As manufacturing techniques perfect the art of making copies plentiful, value is carried by abundance, rather than scarcity, inverting traditional business propositions.” On a more wonky yet no less exuberant note, the noted economist Rudi Dornbusch wrote in 1998: “The U.S. economy likely will not see a recession for years to come. We don’t want one, we don’t need one, and, as we have the tools to keep the current expansion going, we won’t have one. This expansion will run forever.” And who can forget Thomas Friedman’s nonsensical declaration, made in 1999 as the new economy bubble was reaching extreme proportions, that “no two countries that both had a McDonald’s had fought a war against each other,” so powerful were the charms of globalization, one of the cornerstones of New Era thinking? The last tech bubble, in the late nineties, came with more utopian ambitions than quick mattress delivery. Exuberant rhetoric is often the accompaniment to financial exuberance. At the turn of the 21st century, labor markets were tight—the unemployment rate briefly broke below 4 percent for the first time since 1969—and wages grew across the board. The stock market was booming, led by tech stocks, and the mania pervaded the culture; Joey Ramone even wrote a love song to CNBC’s Maria Bartiromo, who became a celebrity known as the Money Honey. According to the Federal Reserve’s Survey of Consumer Finances, the share of US households directly owning stock (as distinguished from indirect ownership through mutual funds) rose from 15.2 percent in 1995 to 21.3 percent in 2001. Since that peak, it’s fallen steadily; as of 2013, the most recent survey, the share was down to 13.8 percent. This time around, the exuberance seems more muted. Like the left, capitalism seems to have lost its utopian capacities. Exuberance is now a luxury good, and only a minority is participating in the new boom. While bouts of irrational exuberance often end badly, it must be conceded that some degree of economic and technical progress can be their byproduct. The dot.com mania helped turn the internet from a niche product into one of life’s essentials. This one is offering new ways to hail a cab and order takeout. But one shouldn’t get carried away with that: most major technological advances of the last decades have been publicly financed. As Mariana Mazzucato shows in The Entrepreneurial State, all the major advances that made the iPhone possible were publicly funded, from the touch screen to GPS. All the major advances that made the iPhone possible were publicly funded, from the touch screen to GPS. While all this pumping has probably had some good effect on the real economy (though opinions differ), even proponents concede that it was fairly modest. But it looks to have been immensely stimulative to the financial markets. Stocks are up about 175 percent from their post-Lehman low. (They’ve come a few percentage points off their highs, thanks to jitters about the Chinese economy, but the gains remain largely intact.) Long-term interest rates fell from 4.3 percent in June 2008 to a low of 1.4 percent in July 2012; they’ve since come up but not by much—to 2.2 percent. When interest rates fall like that, bondholders enjoy huge capital gains (older, higher-yielding bonds become more valuable as rates fall), which they need to redeploy. And as interest rates fell to minimal levels—that July 2012 interest rate on 10-year Treasury bonds was the lowest since the Federal Reserve’s historical series began in 1953—it became cheaper to borrow funds to speculate with. Investors, bored with sub-2 percent rates, were happier to “reach for yield”—invest in risky ventures in hope of earning higher returns. All this together is an ideal formula for unicorn feed. The pump priming has, unfortunately, provided little fodder for working people. Though the labor market has recovered, it’s hardly bubbly. In July 2000, 56 percent of respondents to the Conference Board’s monthly consumer confidence survey described jobs as “plentiful”; in August 2015, just 22 percent did. And most of today’s tech startups are tightly held, meaning financed by venture capitalists (who themselves work with money provided by institutional investors, like pension funds and your finer universities, and very rich people), and not by initial public offerings (IPOs) of stocks, which were widely held by affluent individuals, either directly or through mutual funds. And no CNBC personalities qualify as celebrities today, unless you count Rick Santelli, author of the 2008 rant that gave birth to the Tea Party. The tech bubble is a byproduct of the Federal Reserve’s extraordinary efforts to reflate the economy post-crisis. Of course, when this bubble bursts—as it inevitably will, especially with the Fed having ended its massive money injections and now talking about raising interest rates in the fall—the narrow holding of tech investments means that fewer innocents will suffer collateral damage from the implosion. (So far, the market stumbles of late summer haven’t dampened spirits among venture investors—yet. Should a more serious financial retrenchment ensue, that will change.) There aren’t going to be as many busted 401(k) accounts as there were in 2000–01. But it means that the greatest benefits of the Fed’s reinflation policy are tightly held, too. There’s something sad about this echo-bubble, with its constricted ambitions and minimal use of utopian rhetoric. We’re accustomed to hearing that there’s just “no money available” for all manner of excellent pursuits—though clearly we have plenty of money available to fund serial bubbles and busts, and few unreconstructed social critics ever denounce that with a “Remember last time?” I’m only partly thinking of social benefits like childcare and libraries; those are day-to-day expenditures, not big-ticket items financed out of long-term money, like transit and green-energy research. GOP eagerness to slash Amtrak by $242 million got headlines while Uber has had no problem raising almost $7 billion.